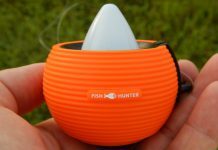 The Deeper portable fish finder is one of the coolest devices to hit the fishing scene. For example, Humminbird makes some pretty cool portable fish finders like the Fishin’ Buddy, and NorCross makes their handy fish finder, but Deeper takes portability(without sacrificing quality) to a whole new level. Deeper is a tennis ball sizes plastic sphere that connects via bluetooth to your smartphone. As long as you have Android or iOS, you can get the Deeper companion app and turn your mobile phone(or tablet, for that matter) into a fully featured fish finder. To use it, simply attach it to your fishing line and cast away wherever you like. 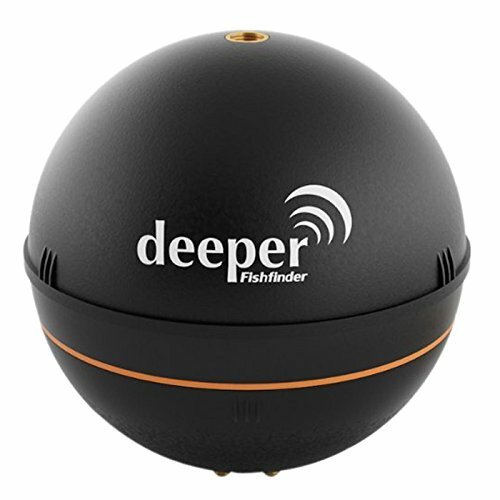 With Deeper, you’ll be able to reach areas that a regular fish finder wouldn’t – near the shore or at the docks. 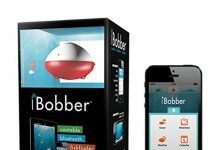 This is also great if you usually rent boats – all you need is the fish finder(which can fit in your pocket) and your phone(which you already have in your pocket). The fish finder will work natively on your phone, so you don’t need to worry about having cell reception – all you need is to turn on Bluetooth. The companion app turns your phone into a powerful fish finder. Some of the features in the app are: lunar fishing calendar, integrated camera function, up-to-date weather reports, customized fishing log, integrated map function, and social media networks. 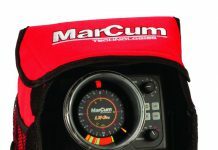 You can also use this fish finder for ice fishing, so you don’t have to invest in an expensive flasher. 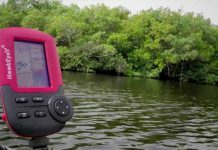 As a final thought, one of the biggest advantages of the Deeper fish finder is that you can use a huge screen with it – if you connect it to your iPad, you can have a fish finder with a monster 10 inch screen, which would otherwise set you back a couple of thousand dollars. 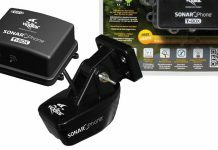 Even though the depth and range is not too much, and probably not suitable for commercial fishing applications, for the weekend angler, this fish finder is a solid option.